Alright, I can feel the challenge coming to an end. I wanna finish it before the end of November so I can spend all of December rocking awesome winter/christmas manis. 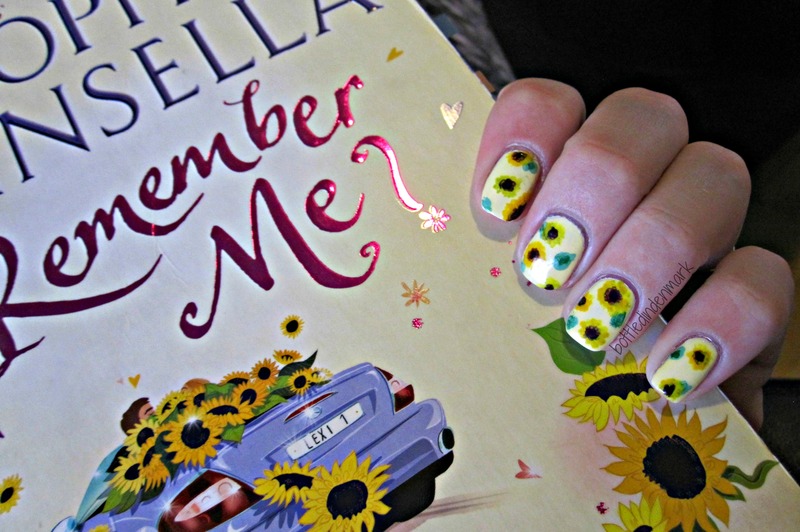 Today’s manicure is inspired by one of my all-time favorite authors and books: Remember Me? by Sophie Kinsella. I’m a sucker for chick-lit, and I even wrote my bachelor’s project on this book (I wrote about the notion of culture in chick-lit books). 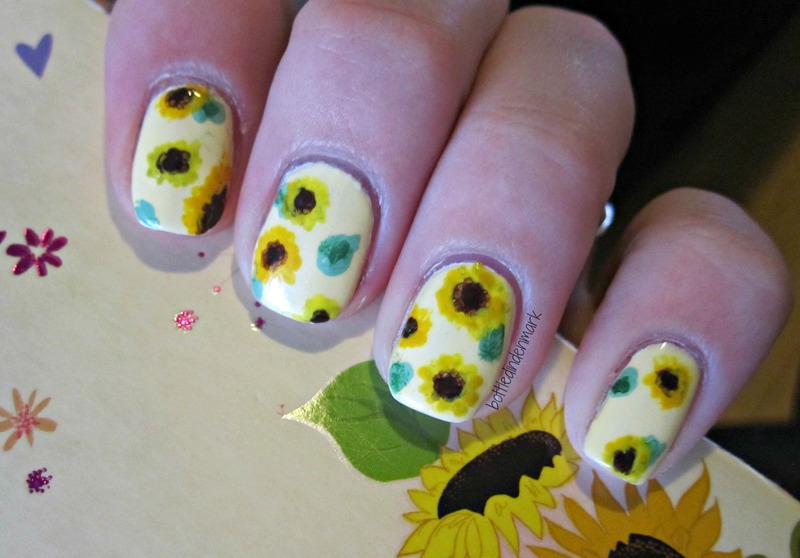 A huge theme in the book is sunflowers, so that was my inspiration for this mani.